The month of February is a huge month for Jordan Brand for they have scheduled a wide array of retro and new models that are expected to create a positive impression like the new edition of the Jordan City Air Max Trek. This hybrid lifestyle and basketball shoe from Jordan Brand will be coming out in Cool Grey/Current Blue – White colorway with the cool grey dominating the upper part that sits on a white midsole and accented with current blue touches on Max Air cushioning. Are you looking for a basketball shoe that will also give you your lifestyle needs? This one is definitely a must-buy fr you! 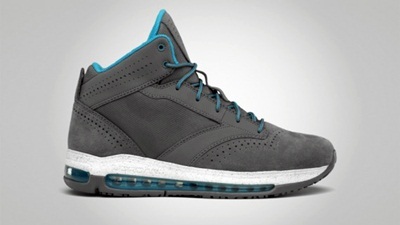 Another Jordan City Air Max TRK Coming Out Soon!